Everyone who hasn’t been living under a rock for the past decade has heard the term “cloud”. Everyone who hasn’t been living under a rock for the past decade has heard the term “cloud”. So what is it? And how is it relevant to you? In simple words, cloud computing refers to storing and accessing your data online. Instead of using hard disk to save your files, photos, videos or documents, you put it all in an online space. This virtual space can either be owned by you or third-party organisations who offer computing services like storage, databases, networking, software, analytics, servers, etc at pay-as-you-use prices. The more components you use, the more you pay, like electricity. Similarly, if it’s provided by third party organisation, you don’t have to invest in its infrastructure or bother about its maintenance. Everything is taken care of by them. Whether it’s an individual, small company or big organisations, everyone’s using cloud in one or the other way. 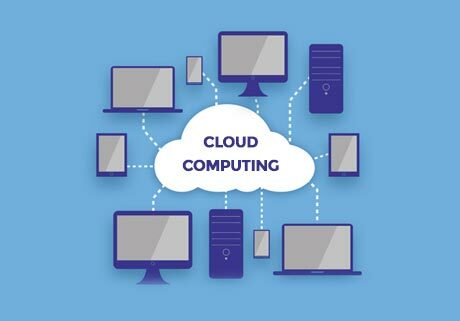 As individuals and SMEs, whenever we use applications that sync our offline data to an online directory or ones that are purely online-based, we are accessing cloud computing. Emails, picture gallery backup, online movie storing – it’s all cloud! Cloud computing has become an omnipresent part of our lifestyle without us even realizing it. But now that you know you can utilize it further to create new apps and services, store, save and recover data, host websites or blogs, and stream audio and video. Save costs – Cloud is an affordable way to store and access important data. You don’t have to spend anything on building and maintaining infrastructure or hiring and managing IT professionals to handle the same. Focus – As a commercial entity, you can focus on your company’s true goals instead of getting stuck up trying to manage these technical aspects. Scalable – On cloud, it is super easy to measure usage. Since that system is transparent, you only pay for what you use, nothing more. Security – In terms of privacy and lost files, data stays more secure when it’s on cloud. Cloud services providers have multiple backups of your data which makes its recovery quicker. Cloud is now, cloud is future. Get on it.